Negril is know as one of the most relax and laid back holiday resort in Jamaica. You can just leave all your stress from home behind and just get away for awhile and just enjoy all that Jamaica have to offer. You have miles after miles of golden sandy beaches where you can escape, relax and watch the world goes by. If that is not enough then try one of the potent Jamaican cocktails on offer and listen to the soothing sound of the reggae beats. If you are with your love one then sit back and enjoy the sunset over the ocean. When you are ready for some adventure, why not try your hand at scuba diving or take an advance diving course. Negril offer some of the best diving spot, with one of the sallow bays, expansive coral reefs and near vertical trenches. The various diving sites around Negril offer something for everyone from beginner scuba divers to more advance and even expert divers. Beginner divers can start in the pool to get then familiar with all the diving equipment's, diving signals, descending & ascending safely and dive safety. You can then proceed to start doing shallow beach or reef dives, under the watchful eyes of our instructors and crew. 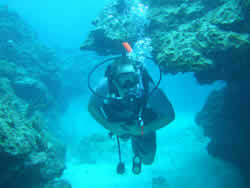 The more advance or expert scuba divers can venture out to one of the main dive sites based on your diving experience. Scuba diving at the coral reef site gives you a chance to explore the reef and enjoy the breath taking scenery. Dive amongst the brightly colored Caribbean fishes and tropical corals. Explore the little nooks and marine habitats on your diving trip with your diving guide. Those looking for something a bit more adventurous can explore the various wrecks, the caves, the throne room, drops such as snapper drops to name a few. You don't have to cover all of these at once because you can start with a less challenging dive and work your way up-to the more challenging dives. We cater for whatever you want on your scuba diving trip. Based on our years of experience, we can plan a dive package to suit your needs and ensure that at the end of the day you will go away very happy and satisfied. 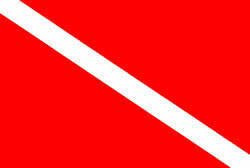 We offer pickup and drop off for our scuba Diving parties from the following Negril hotels and villas. We also pickup from other holiday properties not listed here, just ask when you make your enquiry.